For all its flaws and foibles, the Sibyl System has at least one thing right – there is a latent criminal lurking in every person, despite what their current crime coefficient may be. It doesn’t matter if people are living in the wild jungle of 19th century Africa or the dense skyline of 22nd century Tokyo because whatever shape and form society takes, human nature never changes. In every human heart exists in a propensity for evil – even when people actively strive to resist it. Consequently, in every society and civilization lurks a dark side and oftentimes even relies on its existence to achieve prosperity. 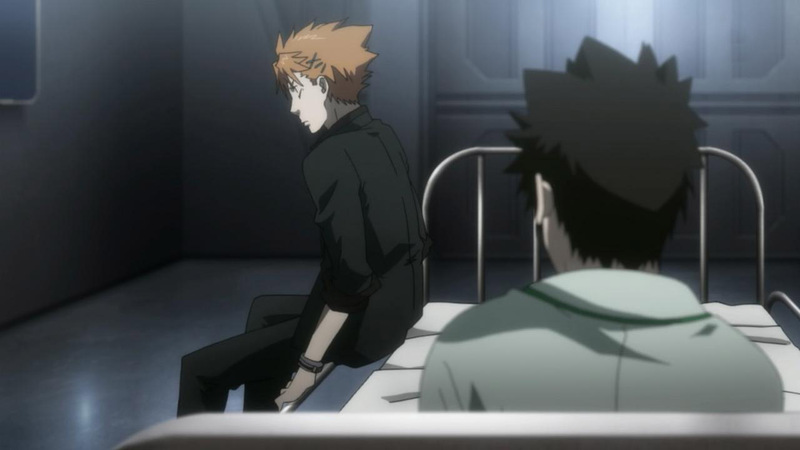 Both of the works referenced in this episode, Friedrich Nietzsche’s Beyond Good and Evil and Joseph Conrad’s novella Heart of Darkness, are notable for exploring these themes and PSYCHO-PASS is merely the latest work to delve into these motifs. The first half of the series mainly concentrated on those who are undeniably evil, psychopathic individuals like Midou Masatake and Ouryou Rikako, but with this episode, it appears as if the series turns its attention onto those who try and bring them to justice, the men and women of the MWPSB. Aside from the usual physical dangers they face in the line of duty, there is no greater threat than the possibility that their mental health, their Crime Coefficient, will deteriorate to the point where they are branded a latent criminal. After all, they are the ones who must fight the ‘monsters’ and constantly gaze into metaphorical ‘abyss’. 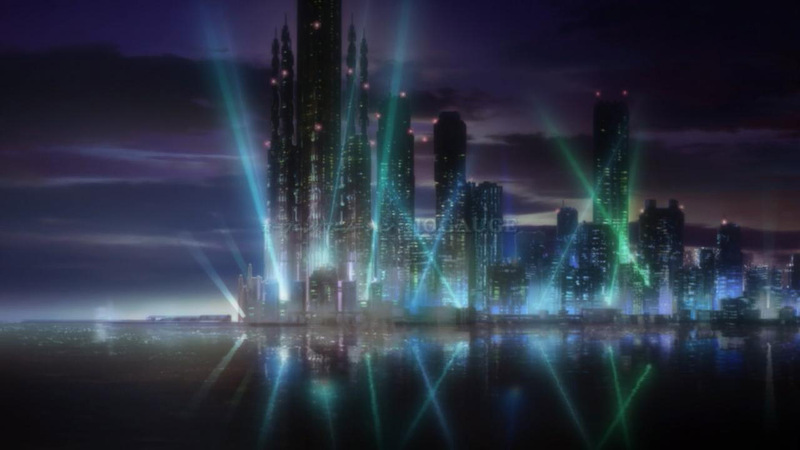 Inspectors are continually striving to resist becoming the evil they dedicate their career to fighting – they have their Psycho-Pass hue and Crime Coefficient regularly monitored so that steps can be taken to try and mitigate any potential increases, but are these precautions enough? 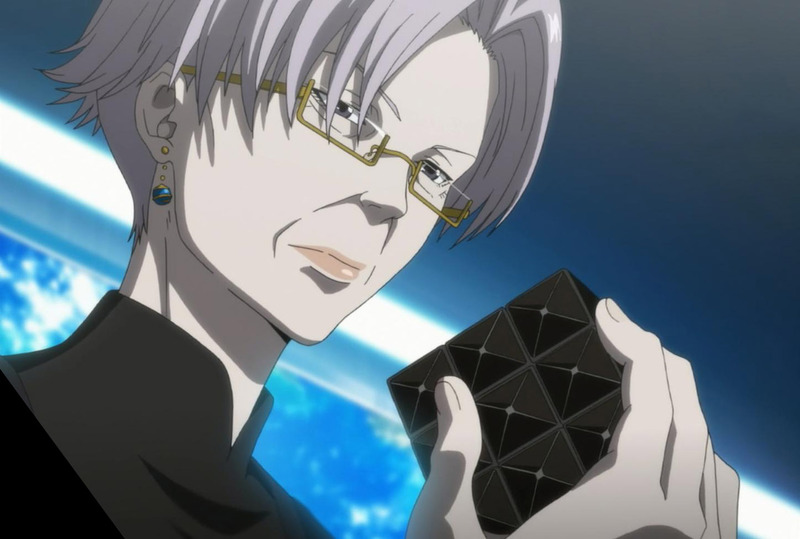 From Masaoka’s conversation with Ginoza, it seems as if the Sibyl System, or at least the Dominators aspect of it, has been around for more than 30 or 40 years, but Inspectors like him and Kougami still end up becoming latent criminals despite all the precautions. Is it inevitable that when one fights ‘monsters’, they risk becoming a ‘monster’ as well? Currently, the most pressing question is whether Tsunemori will prove to be an exception. 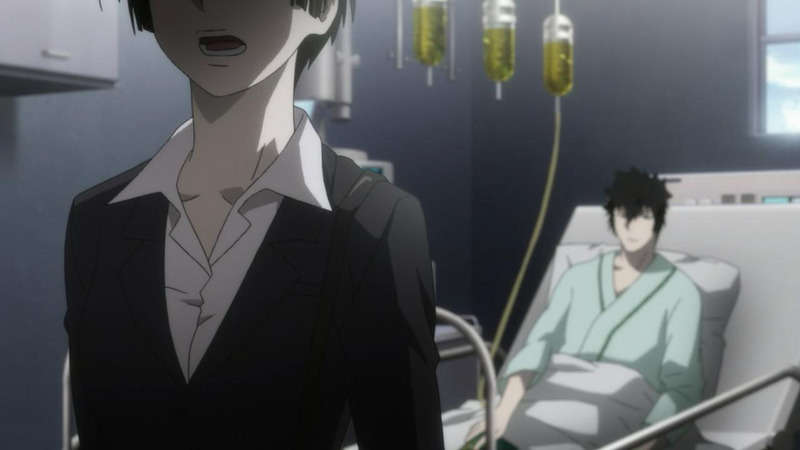 Her fateful encounter with Makishima was a horrific experience on par with what Kougami underwent, and since he eventually was branded a latent criminal after Sasayama’s death, Tsunemori’s failure to shoot Makishima and save Yuki could be easily seen as the breaking point for her psyche as well. It would not be a surprise if her Crime Coefficient never recovered and she is forced to join the ranks of the Enforcers. However, the rookie Inspector appeared completely fine in this episode, even though she didn’t use sketch artists for some reason (thanks to BakaMochi for this observation) and instead had to relive her traumatic experience once again. Is Tsunemori merely postponing the inevitable fall into darkness? Or does her uncanny ability to quickly recover from mental stress (which might be a mild version of the “criminally asymptomatic” syndrome that the Bureau Chief (Sakakibara Yoshiko) describes) preclude her from this fate altogether? Nietzsche’s quote may have already played out for Kougami, but it remains to be seen if it will hold true for Tsunemori as well. Joseph Conrad’s novella Heart of Darkness is a powerful and striking work that echoes Nietzsche’s quote by exploring a theme of the inherent potential for evil in the hearts of humans and by extension, in society and civilization itself. 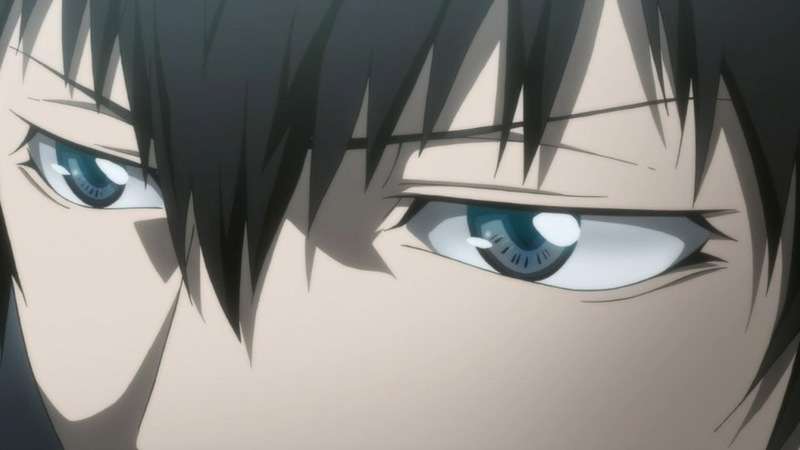 PSYCHO-PASS shares this motif, most obviously in the parallels between Kurtz and Kougami. Kurtz from Heart of Darkness ventured into the depths of the African jungle and witnessed atrocities that changed him in a most negative way, causing him to go as far as committing horrifying acts of evil himself. 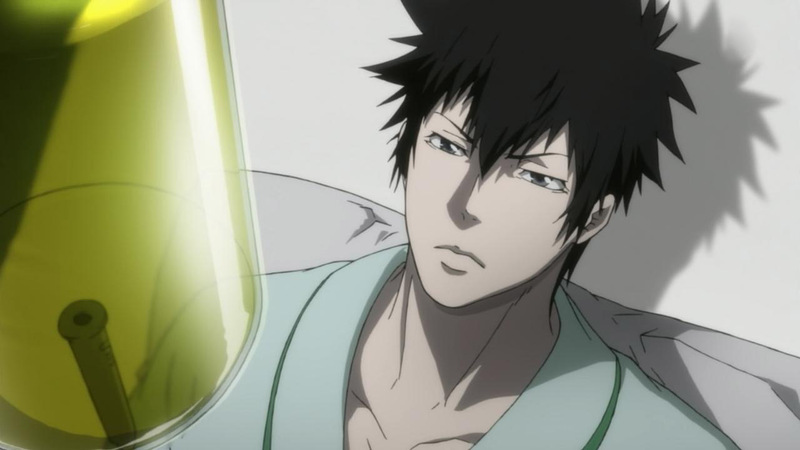 Similarly, Kougami’s journey into the underbelly of society also led to him witnessing a disturbing act which changed him forever, and caused him to become labeled as a criminal with the latent capability to commit evil deeds. 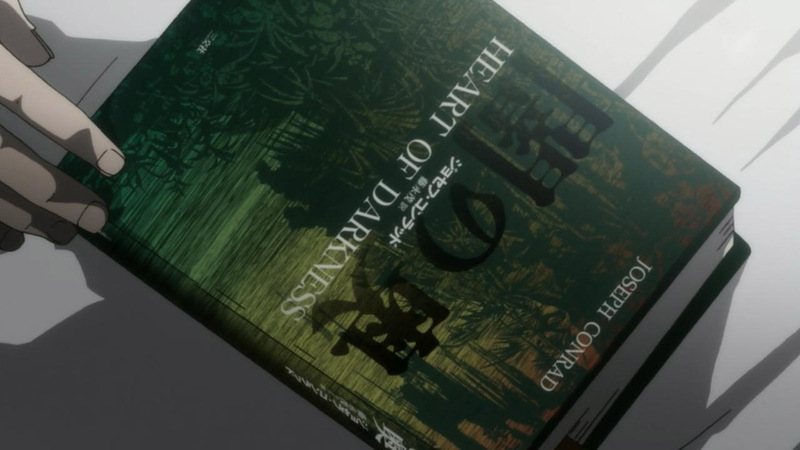 Aside from the parallels between Kougami and Kurtz, this series also offers an interesting and thought-provoking take on Heart of Darkness’ idea that the potential for evil can be found in every society and civilization. In Conrad’s novella, Victorian-era London owes its prosperity to the slave labor that provides it with valuable natural resources, a darkness that is hidden away in the jungles of far-away Africa. Similarly, the futuristic society of this series is also an example of this same theme, except instead of slave labor it is the suffering of latent criminals, a price that has been hidden away through segregation. Heart of Darkness only implies that a connection exists between savagery and the colonialism which has made England so prosperous. 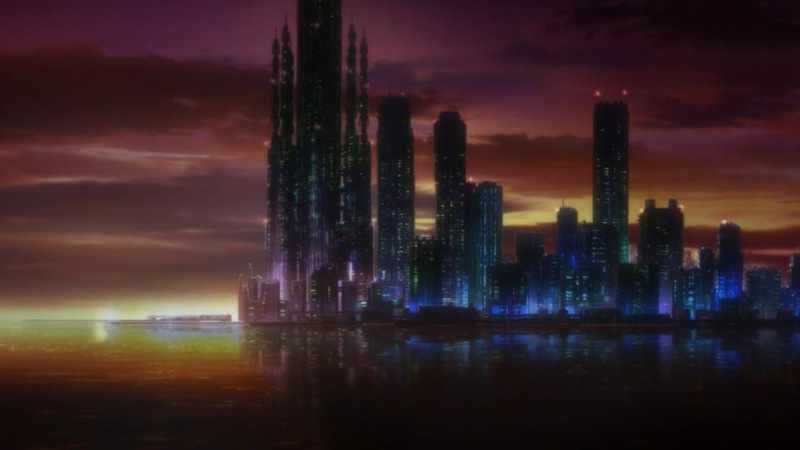 It never directly identifies this theme or associates it with a political system or body of any sort, but PSYCHO-PASS develops this further by tying this theme directly into the system at the center of the society itself. The key assumption of the Sibyl System, and therefore of their society, is the idea that everyone is a latent criminal, capable of committing savage acts. This is the foundation, the basis of the system. It allows Sibyl to then quantify this latent capability for criminality by scanning people, and it is also given the powers to then segregate people as latent criminals if they are on the wrong side of a seemingly arbitrary line. An entire society has once again handed over the reins of morality to a singular power, a singular voice. Up until now, Ginoza has always been portrayed as having an unwavering faith in morality of the Sibyl System, similar to that of a religious devotee. This analogy becomes even more apt with the Bureau Chief’s zealous proselytizing about Sibyl’s role in their society and presumably civilization. The tone with which she describes its role in people’s lives along with the lexicon she uses, words like ‘judgment’ and ‘blessings’, strongly suggests that she, and likely many others, view the Sibyl System as something akin to a religion or deity of some sort. They have simply traded one religion for another, one god for another. In our current world there already exist nations which force their citizens to abide by strict religious morals. Unlike the deities of these religions, Sibyl is a tangible entity, but it is still no less mysterious to the common person and has a jurisdiction that is left unchecked for all we know. Can it really be considered progress for a society entrust all morality and tough decisions we make in life to another higher power, one that is for all intents and purposes no less different than the gods of yesteryear? So far, PSYCHO-PASS’s answer is a resounding and unequivocal no. As the Bureau Chief firmly stated, a system like this needs absolute trust and faith that it is flawless and perfect for it to work, so it’s not too farfetched of an idea that there is a built-in safeguard that increases the Crime Coefficient of whoever begins to question it. It happened to Masaoka when he was first given his Dominator, and now his son is beginning to show signs of an elevated crime coefficient now that he is questioning Sibyl as well. A preview of things to come? Thanks again to BakaMochi for the screencaps! Full-length images: 8, 18, 27. Makishima is a bug in the system, a virus rather. Just as computers and other technology has it’s bugs and viruses, making the system malfunction (Sybil System). Enforcers and Inspectors can be looked at as “Virus Protection” or a “System Optimizer” to help put the system back into array. When the virus or bug is deleted, the system then is notified and aware of how to manage its encounter again, no longer making the system vulnerable to its defects. Making the system (Sybil) a more complete one. You bring up a good point. Is it a crime if you don’t think it’s crime? Same as what I thought when I watched how Shougo’s Crime Coefficient went down, like its not a crime to cut butter with a bread knife. And so we can’t attribute this situation with Makishima to a bug because it’s “boring”? That’s a lack of creativity on your part, no? Surely, there are ways to continue building the story around this point without compromising how “entertaining” the story itself is. 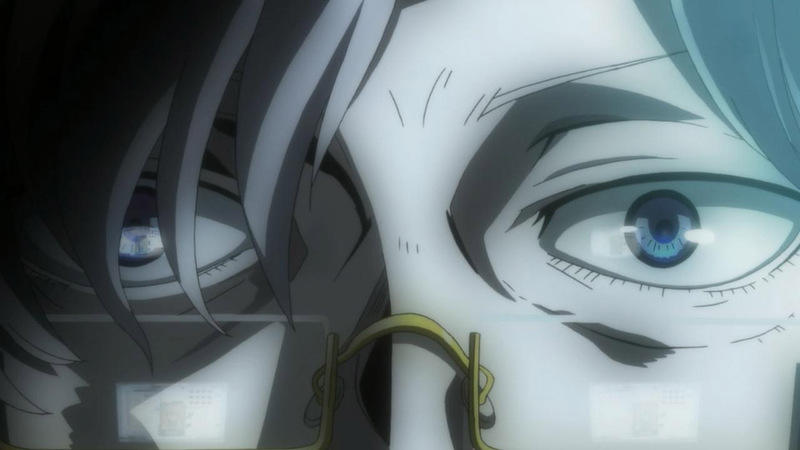 Anyhow, looking at Makishima from the perspectives of the investigators and those who maintain the system in the Ministry of Welfare, he would be considered a “virus”, able to bypass a flaw in the system – the “bug” in Sybil. I wouldn’t say that the system hasn’t malfunctioned, but rather, Makishima has, whether intentionally or otherwise, found a loophole and manipulated it to escape the boundaries of the system itself. But yes, just as flaws in a security system are considered and fixed to prevent them from being manipulated, I’d reckon the Ministry and Sibyl itself takes into considerations possible flaws and updates the protocol that Sibyl is designed to carry out judgement accordingly to, to correct the flaws. Only that Bureau Chief stated to Ginoza, that they have previously encountered such rare case and have ‘taken care of’ the subject and they will never ‘see him again’, yet the system stays flawed. I’m betting that Ginoza is the first to crack. He’s been pretty inflexible in his judgment of other people, and I’d wager he’s one of those determinists who think that you can easily predict someone’s actions based on character, and that kind of labeling is just bound to hurt him the most in the end. 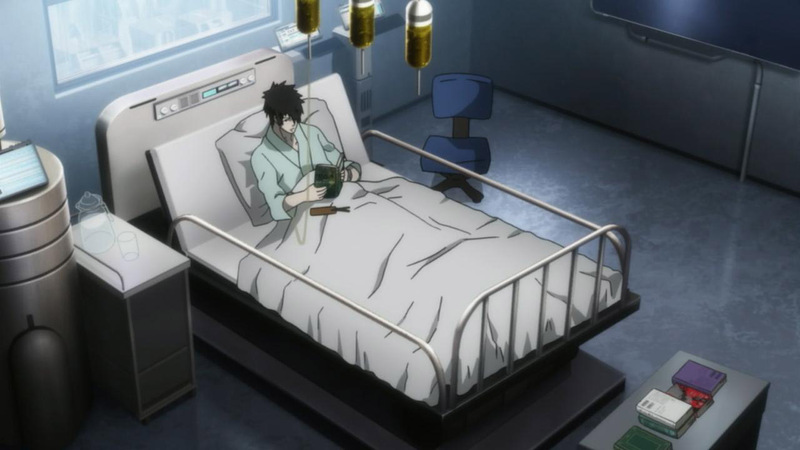 Kougami sure does spend a lot of time in hospital beds. and is it just me or the head lady looks like she is connecting with her PC directly at the end? 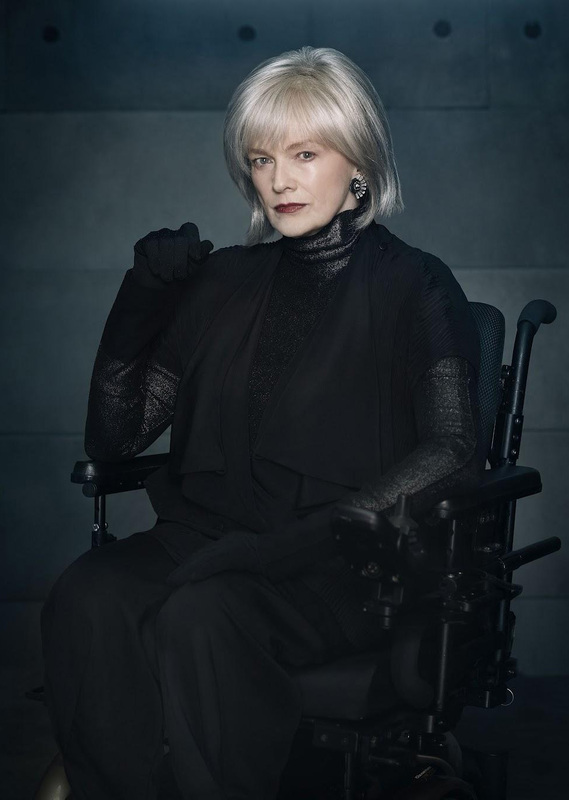 she is really a cyberorg? and of course, thanks for such great post, verdant! I thought the end scene reinforced the idea that “Sibyl” needs human oversight, she’s like a savant who scans the incoming data for errors that the program doesn’t catch. 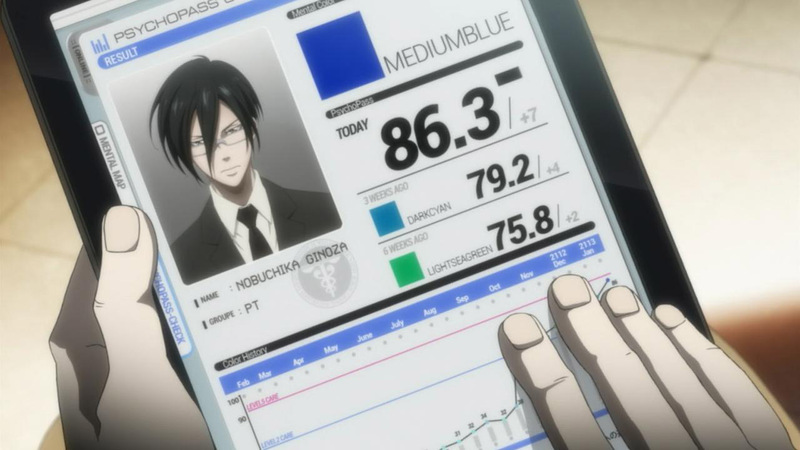 Makishima is probably related to the Bureau Chief. Either her grandson or her son. She calls him by his first name. Thought the same and that the “old lady”-ness is a red herring — her hair is naturally that color. 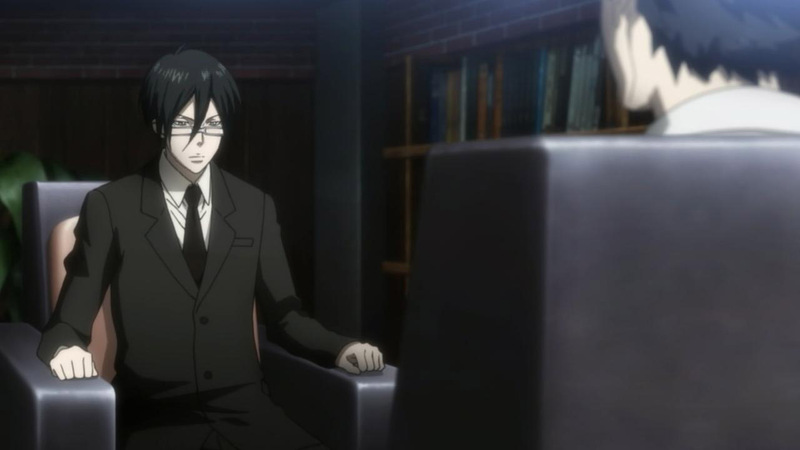 Also, Ginoza being Masaoka’s son… Come oooooon, we all saw that coming. But the director knew that we did it was nicely executed. Btw, the bureau chief in the last scene gave me creeps. I know last episode was just an intermission episode, but I do hope they would continue on with Yayoi’s side-story from last episode. Akane does seem to be what the Chief describe as one of those criminal-asymptomatic people, or at least a milder version of it, as her ability to bring down her CC after spiking briefly was not considered normally possible. 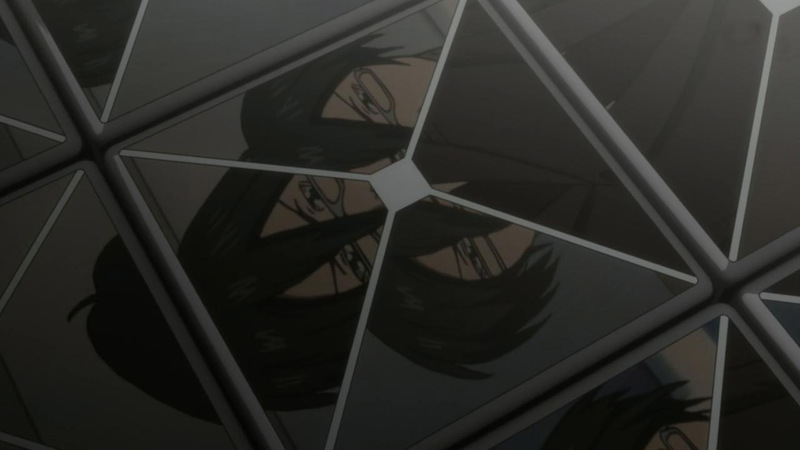 That post-credit scene, does it seem to be imply that the Bureau Chief is somehow related to Makishima? Considering they both have silver hair and she calls him affectionately as “Shougo-kun”. Another relation that has been more or less proven is that Masaoka is indeed Gino’s dad, explaining his ballistic behaviour back in episode 3 when Masaoka was going “detective” mode, as well as him not reprimanding Masaoka after Masaoka stood up for Akane. And so the story proceeds one level deeper in its intricacy. I agree, it could be an awful waste of development for them not to continue Yayoi’s story at some point down the road. With how the situation left itself, I wouldn’t be all that surprised if we eventually see Rina affiliated with Makishima. Could be related, but funny b/c the hair isn’t a tell when the lady’s old enough to have gray hair regardless. That last scene doesn’t bode well for Akane. If the Bureau Chief is crooked, she could have Akane labelled as “criminally asymptomatic” if Akane keeps pushing Sibyl’s flaws. There’s evidence that could support that, but personally I think Akane’s idealism is what keeps her clean. While Makishima seems like one of those people that nothing sticks to, Akane seems more like someone that focuses on the silver lining. Everything has a purpose, and she focuses on that purpose. She had to relive her friend’s death to get her killer, and such like that. It’s more than telling yourself that everything will be alright or everything will work out, it’s like the purest form of “everything happens for a reason, and nothing is pointless”. In their era, that kind of positivity seems like a powerful weapon for an Inspector, so I don’t think Akane will drop to Enforcer unless a lot of people start dying, and maybe not even then. It’s actually worse than that: after two (?) generations of using the Sybil System, we are seeing people reared to exist within the system, even with its’ flaws. 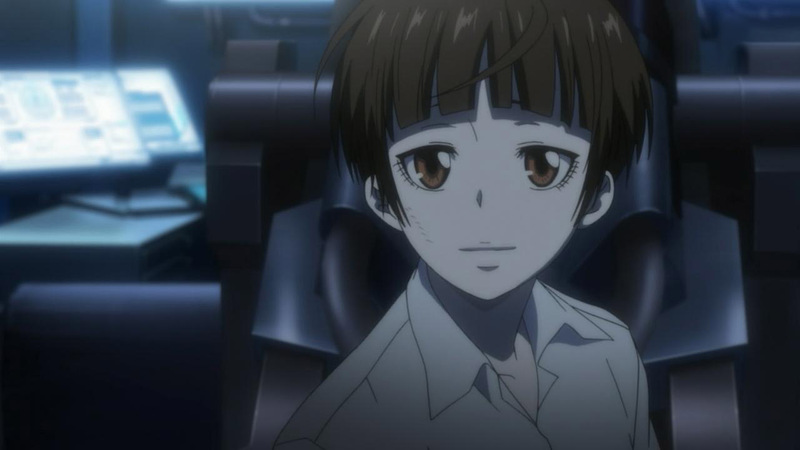 Akane is just the latest person in an entire generation of people who naturally can regulate their Crime Coefficient and Psycho-Pass. 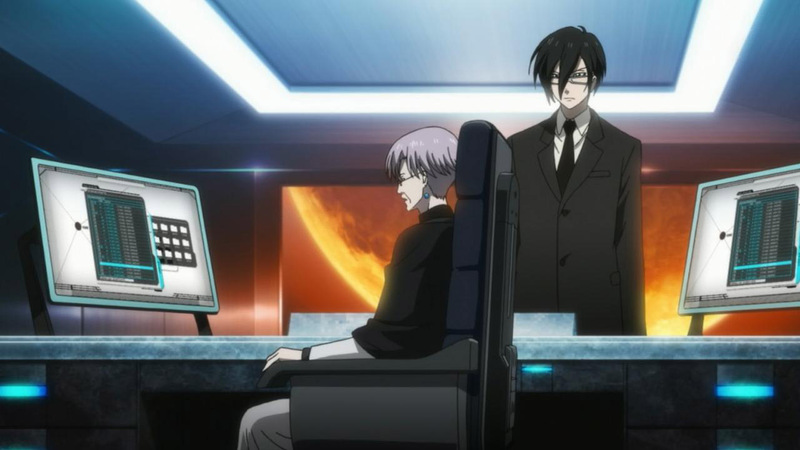 Makishima is an extreme as he is criminally asymptomatic – what happens when more people are born like him within the Sybil System? 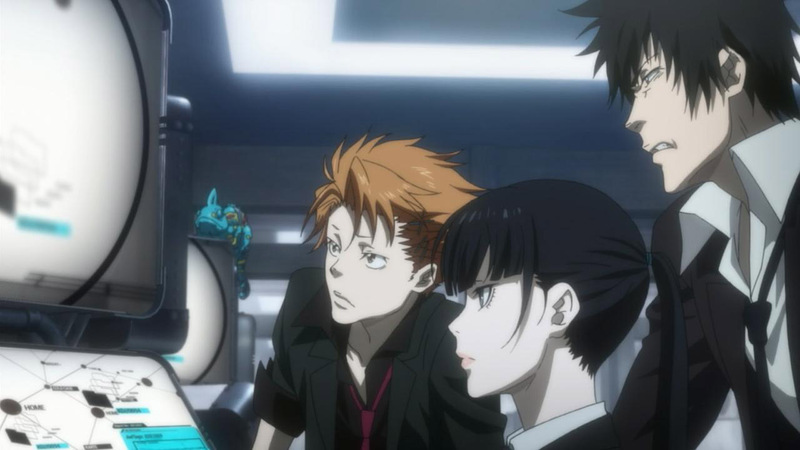 The Sybil System has weeded out those unable to deal with their Psycho-Pass, so the only ones left are those who can. It’s evolution, or adaptability, in motion. This may be the secret the Bureau Chief is trying to keep from the public. 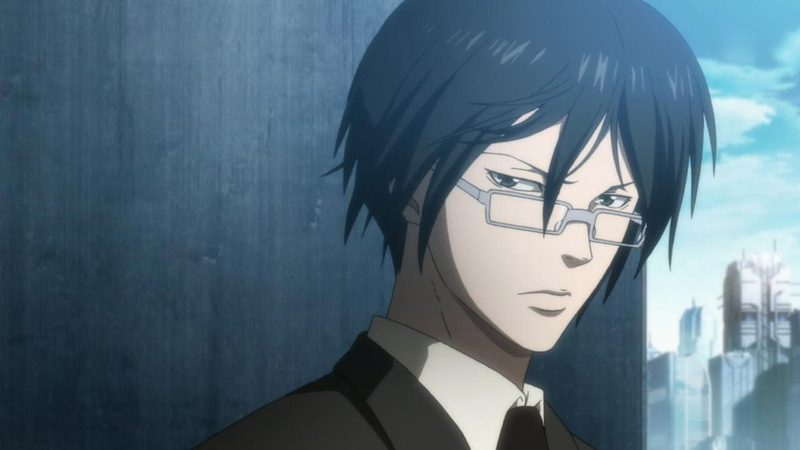 Not that people like Makishima exist, but the potential for more people like him can be born within the Sybil System. It would be interesting to know how many cases there have actually been. Two cases we know of, one of which one was disappeared, so if the Bureau Chief isn’t crooked I hope that means being studied in a dark, isolated room somewhere. Otherwise I’m going to guess that the Bureau Chief herself might actually be criminally asymptomatic. 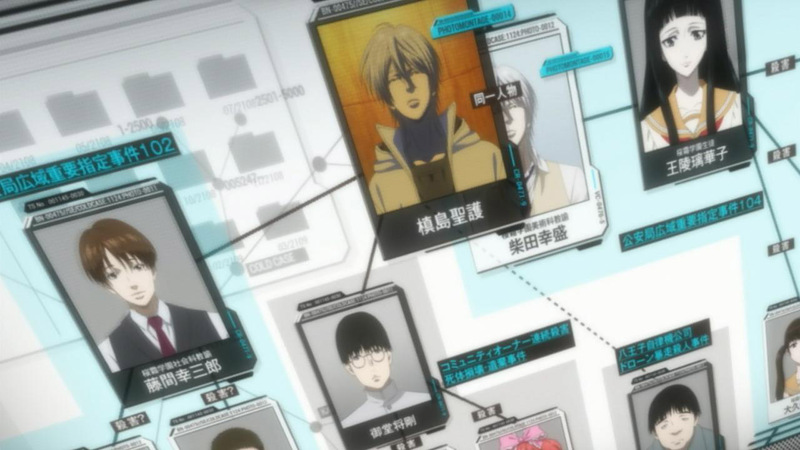 Other than being related to Makishima, that could be there connection, though I get the feeling the Bureau Chief would go pretty far to hide the existence of criminally asymptomatic people regardless. Evolution or not, people are going to start dying if these Sibyl exceptions start becoming more common or their existence starts getting around. Viva la revolution? Compare with studies on the nature of today’s psychopaths and how they are blending in with society, and we have something to think (if not actively worry) about. 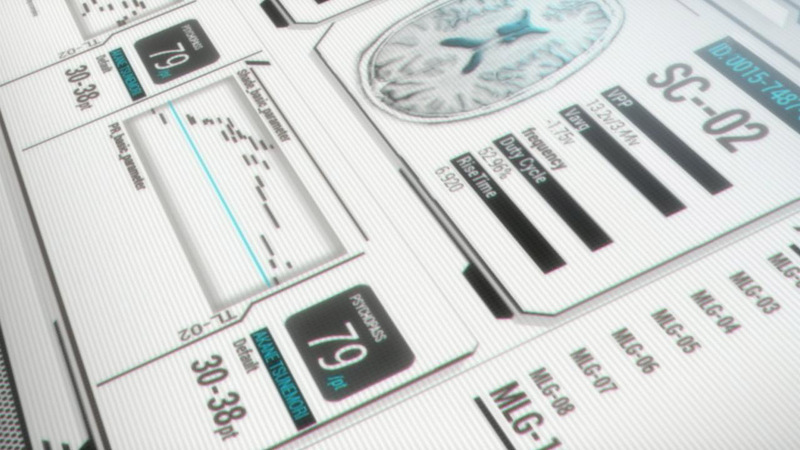 What makes you think Akane would only be labelled asymptomatic? 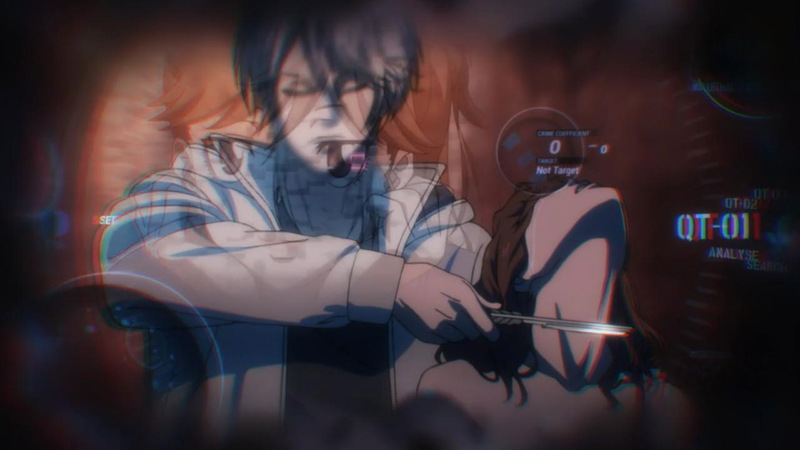 Her Psycho-Pass behaves in a way we’ve so far only seen in Makashima himself– dropping quickly during a stressful event. Her friends remark on her particular ability to remain unclouded without effort. Her friends and herself are unable to explain the Sybil system’s recommendation that she join the police force, or her interest in doing so. Now we know the bureau chief already knew asymptomatic criminals existed before Akane encountered Makashima. Wouldn’t the logical response, of both the Chief and the system, be to decide that they needed an asymptomatic on their side? I don’t think her case is mild, and I don’t think it’s a coincidence that she has this job. For me, the question isn’t whether or not she’d be unfairly labeled asymptomatic, but how long it will take before Ginoza knows she is, and what he’ll have to do with her at that point, after Makashima is dealt with. This system enslaves, imprisons, or executes latent criminals, and it handles asymptomatics off the books. I definitely get the feeling that the term “criminally asymptomatic” and Akane’s fast recovery from that stressful event were grouped together to create a sense of wondering if Akane is criminally asymptomatic. I’m not sold on the idea that she is, but like you said there will certainly be people that will assume she is when they learn of the term/disorder, and I wouldn’t be surprised if Ginoza was already/still thinking on those lines. This could become a part of the plot later on, as it seems to be a waste to just say “Oh hey, we got one on our side”. Is she asymptomatic or does the Bureau Chief just want her to look that way when she really just has the perfect mentality for being an Inspector? That said though, Akane’s coefficient did skyrocket after that brain dive thing and she was clearly disturbed, while Makishima’s never rose at all and he never batted an eyelash. It feels too different IMO. Shouldn’t they have been doing that during the first half as well? Also, is it really necessary to mention philosophy books that have these themes of corruption WHILE demonstrating them? Isn’t that just beating us over the head with the theming? Madoka did it just fine and they didn’t need to quote anything. So basically it’s hard to break the status quo made by the Sibyl system that has given a strict order to the people. Any resistance/objection that can hint a revolution will label you as a latent criminal. Also, I find it weird that they censor the slap to Tsunemori’s face when they don’t censor the other scenes with blowing up people with the Dominator. Yeah, it almost makes it seem like they haven’t explained nearly enough about the system itself to actually use it as anything other than a hinderance to the officers. Seriously, what advantages has the Sibyl System given these characters that law enforcement in this world wouldn’t have? It’s supposed to stop crimes before they happen, but the only time that worked was in Episode 2 when they stopped that random guy from attacking a couple (or whatever he was actually going to do). If you take the system out of the equation for the plots of Eps 4-11, it doesn’t change much. In fact, it’s surprisingly easy to abuse. I can appreciate the twist with Makishima because Akane can’t deal with such a huge contradiction to something she’s grown up with, but the point is that the system itself hasn’t made their job any easier, rather the opposite. Makishima tests to see if Tsunemori will control her decision-making actions or let Sibyl control her. Wow, I just noticed that. There are no lawyers and no trial system, essentially making the Sibyl system the law itself. That’s certainly interesting, but it just raises more questions. Like, has it been so long since the system was enacted that no one remembers lawyers or trials? What do other countries that don’t use the system think of it? ARE there other countries that don’t use it? And again, what incident was it that put this whole thing into law? 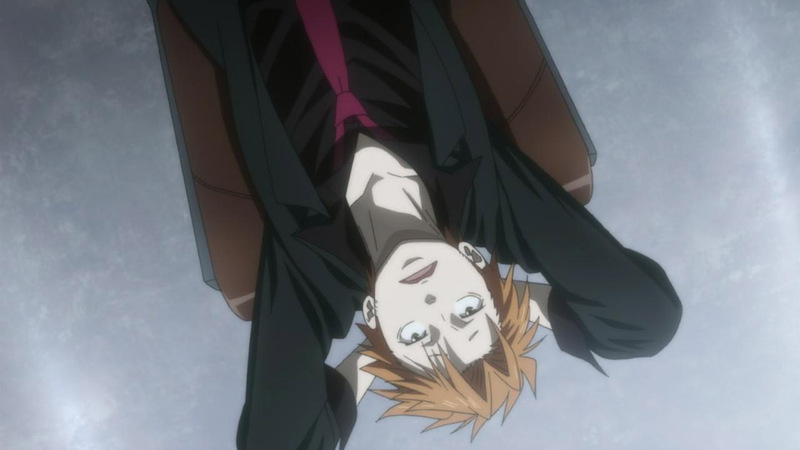 Psycho-Pass just isn’t covering all the bases it should have by this point in the story. Anyway, basically the only advantage I can see is the lack of having work within the law, because in this system, the police ARE the law. However, this still doesn’t cover the fact that the system has proved ineffective multiple times. Yes, it does have pros, but the cons seem to be much overshadowing them. I understand that the show is supposed to tell us that replacing lawyers with an color-coded system and guns that don’t shoot unless approved by that system is BAD…but I’m pretty sure we already knew that before we had even heard of the show’s premise. The horror is still to come when whether we find out what Sibyl really is, or who is behind the making of this so-called humanity’s law-&-order. It almost showcases tyranny in disguise behind assuring people’s security, that is without a tyrant so to speak. I don’t think you did, because I’m seeing no link. And like I said, presenting these scenarios is all well and good, but each time I go into an episode, I’m left with these same questions left unanswered over and over again, when they should have been answered (or at least implied or acknowledged) around Episode 4 or earlier. If they want people to buy into this kind of setting, they need to cover these bases in the show or in the supplemental material that’s being released with it. I get the impression that you’ve gone into this with the intention of opposing such a system from ever being implemented. If that’s true, I think there’s no need to ask any questions, because you’re just gonna find another flaw in the system to pick at, and we all know that there are no such things as perfect systems created by man. You’ll always have something that you’ll be unhappy with if you look the show and its concepts that way. I’m sure I know that things aren’t as clear-cut as you make them out to be. My observation is that PP has so far is telling us that the line between right and wrong; justice and injustice; law and crime; – the boundaries are anything but clear. It’s far from saying that anything can be clearly defined as BAD. Not true, actually. I just wish they’d actually try to show more of the advantages of the system. Like I said, this show just isn’t giving me enough information that they should’ve covered already. It’s not like any of these questions would take that much time to answer either. Also the fact that they should be using at least SOME of the episodes to make an actual case for why system works (which they should be able to do), but they aren’t, hence why it feels to me like the message they’re trying to get across is that Urobuchi himself does not like the system and doesn’t want people watching to like the system. He seems to be deliberately making it only be a problem for the characters, as opposed to trying to show both sides of how it could hurt AND help. 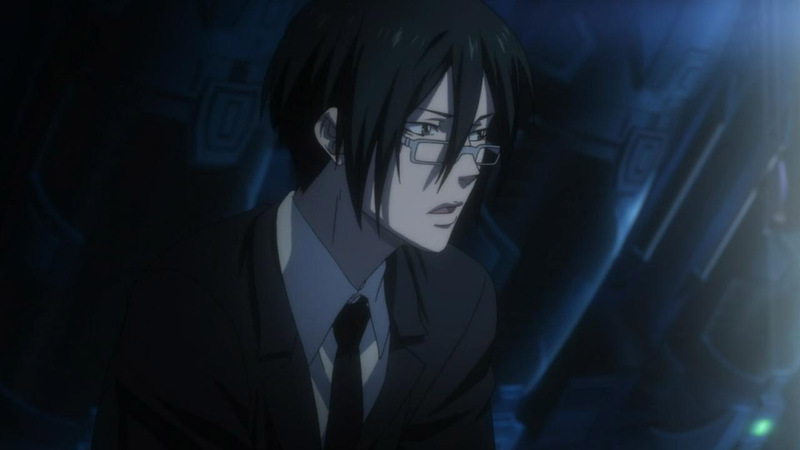 The Chief’s interest in Makishima seemed a little extra creepy. Beyond the level of how someone would treat even one of the most troublesome bugs in their “perfect” system. If I had to make a crazy guess I’d wonder if we’re going to see an expansion on the plot we see Ginoza in where we find out that Makishima is in fact the Chief’s son and she wants to deal with him herself to hide the fact and keep it from tarnishing her record. Or that growing up around the person who developed the system gave Makishima exactly the right idea of how to work his way around it. It would also explain why he is against it and trying to contradict it so much in the first place. Some guy speculated that they use asymptomatic as a way to identify criminals, same way the used rare test subjects in Minority Report (Tom Cruise movie) to foresee future crimes, i wonder if they will go that route. 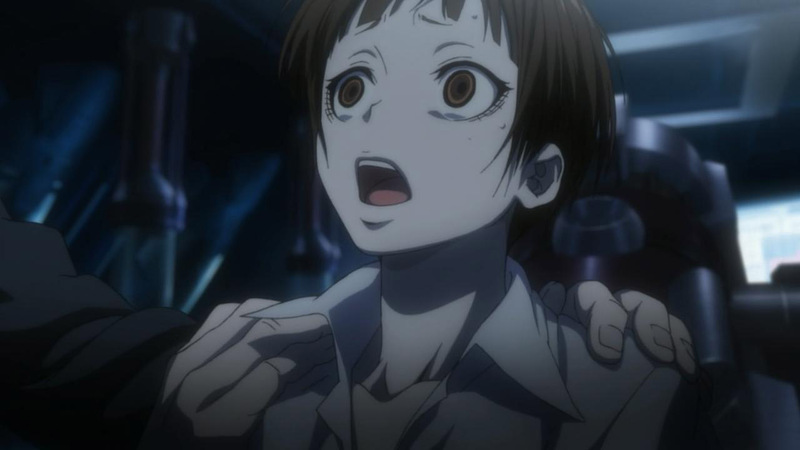 Considering how clear Akane’s psycho pass stays and how her crime coefficient recovers so quickly I really hope they stick to Masaoka’s theory and she doesn’t just end up being criminally asymptomatic herself. with all the issues with this system, only 1 human generation (not even) long in the running, I wonder what could have prevented true criminals from adding themselves on the system design committee, and create all sorts of loopholes to make a paradise for themselves. Also wondering if the guy they disappeared is really dead. Or if he is hooked up to a machine somewhere. 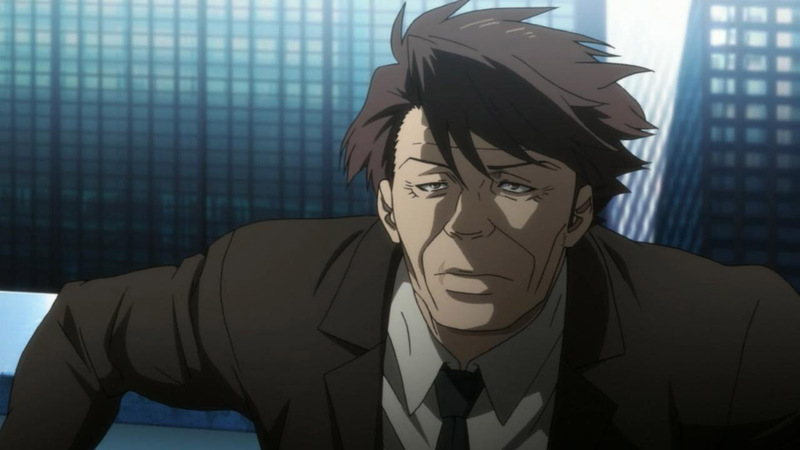 Masaoka being Ginoza’s dad is hardly surprising, considering the way they interacted. 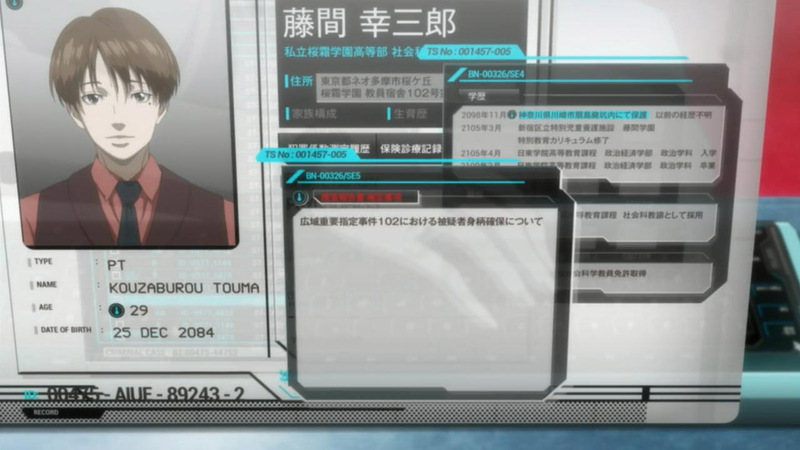 Masaoka’s description of Akane is quite telling. Akane in a sense is the ideal person for SYBIL, one who acknowledges her mistakes and moves on. She’s essentially the human prespective the Dominators need. 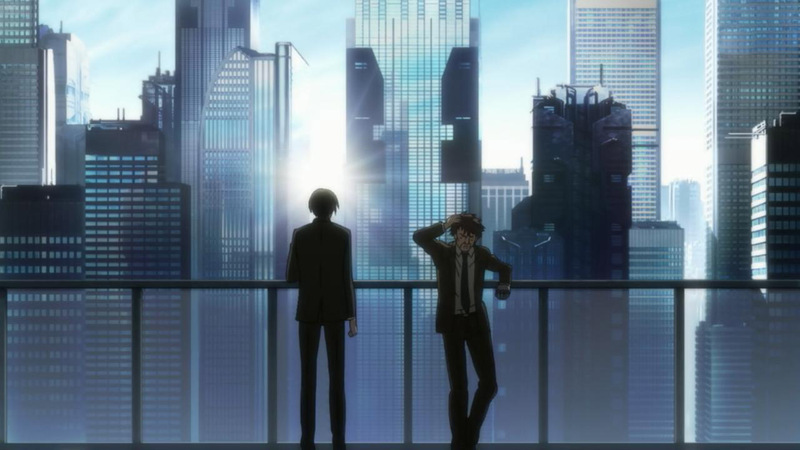 As we can see from both Kogami and Masaoka, they let their own faults eat them up and get them labeled as latent criminals. 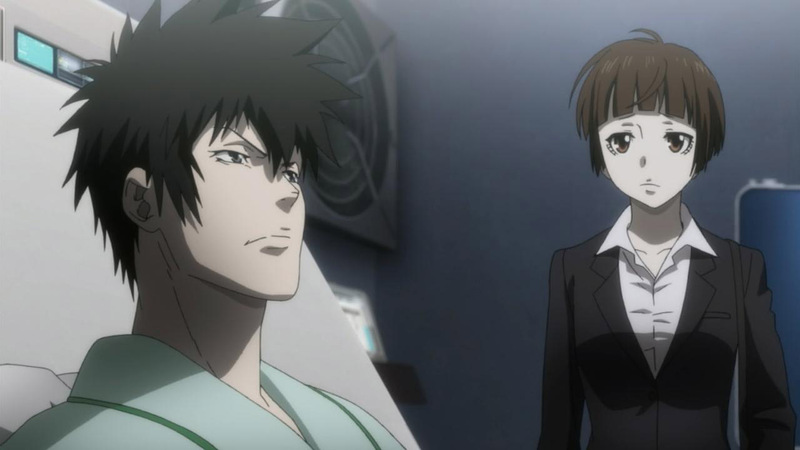 It also directly to relates to the Chief’s chilling idea of drones with dominators, Kogami himself had been experiencing doubts and felt he had no choice but to obey SYBIL until Akane came along. So Shougo’s not special and Sibyl’s not perfect. But it’s more interesting because the system runs on the trust of the citizens. In fact Sibyl is a true Cyborg with both an AI and a human component working to comprise a larger networked system. Makes the cyborg theory references in earlier eps more relevant. Since ep 1 Akane reminds me of Madoka with her resilience and faith in the good and humanity of mankind. So either she’s going to go completely psycho because she carries the grief and trauma of her experiences without breaking down – like a magical girl who keeps her chin up while her grief seed grows exponentially dark; or, like Madoka, she is saved from despair by her unique faith and resilience and becomes something larger than/outside of the cycle of trauma->despair->latent criminality. 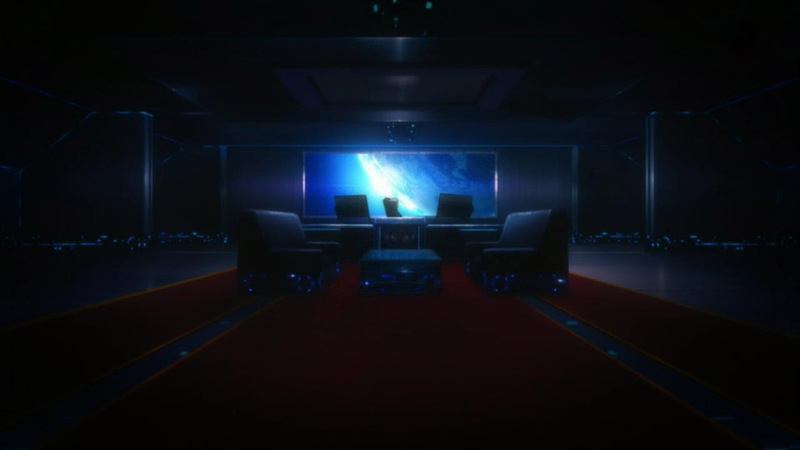 So in the last episode, we see her dominator turn pink and flowery, the Sibyl system and the people that maintain it are completely destroyed by her, and she floats in an inter-dimensional space as she embraces Makishima, who admits that he was actually doing everything in order to save Tsunemori from the Sibyl system? No, the last ep of Madoka showed a girl in the face of despair sacrifice her own existence to give hope to world that was according to the Kyuubeys was a closed system with humans just tiny cogs in a grinding machine. Sibyl is a closed system that does not allow for outliers in the individual. 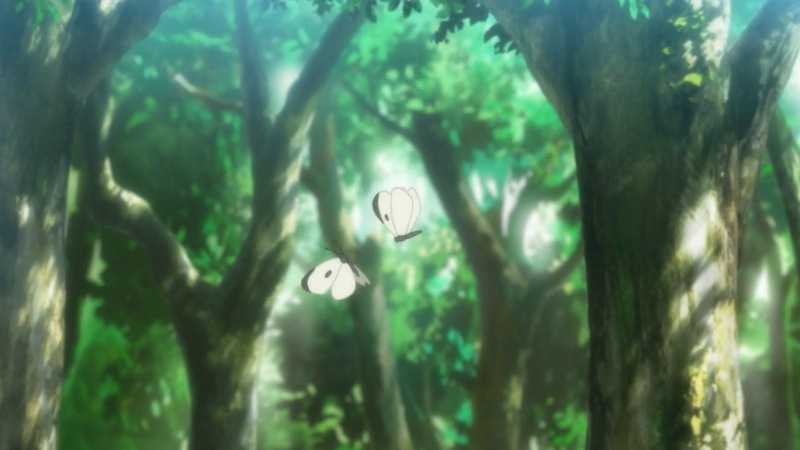 Message of Madoka was that Humanity has a power in its ability to hope that is greater than death. It also was a Christian allegory. I can’t believe you missed all that and hope you are just being glib. Japanese pop culture privileges the symbol of the shoujo as having a power in its vital force – hence, “magical girls” with revolutionary potential. Akane is that figure in Psycho Pass. Lol, dude, I was just poking fun at both shows. Its a joke. pst. You just copied that from Enzo’s blog, didn’t you? Don’t cheat; also don’t pretend you ONLY copied it from Heart of Darkness/Apocalypse Now. In my post I quoted this line specifically, and I sure didn’t copy it from Enzo’s blog, so maybe MM didn’t either? Ok. My bad then. Beside I was only half-joking in that post to begin with. And I think I missed the part where the book was actually shown in the episode, which explained why both Enzo and you brought up the quote. 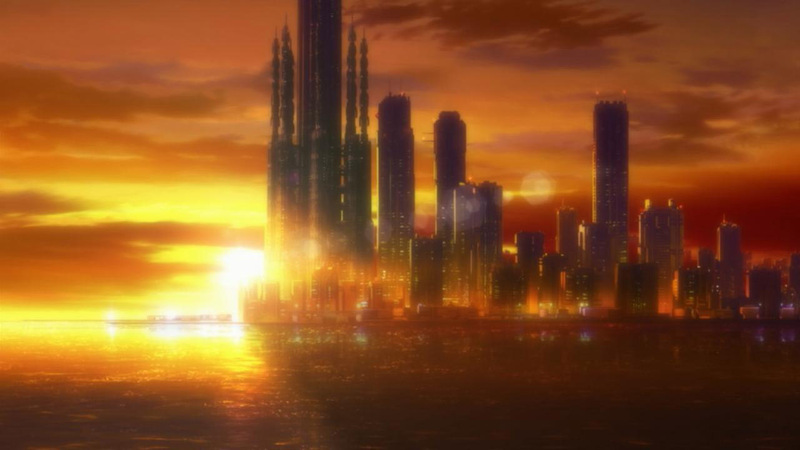 The anime’s setting is exactly 100 years from now it seems according to that first screencap. I refuse to believe they will be using tablets in 100 years. Even now projecting onto the retina is being experimented on and neural pathways mapped, in 100 years screen just won’t exist. Could you find that screencap? Because I am seeing no evidence they pinned down a time frame other than “near future”. Look down, it says 2112 Dec and 2113 Jan.
Oh, I thought you meant the beginning shot of the entire series. Huh, that’s odd that they wouldn’t reveal the year the show takes place in until more than halfway through. I’ll be looking out for space cowboys. Maybe buy myself a Swordfish. solid screen won’t, holographic one will. great psychological depict of Akane’s…. 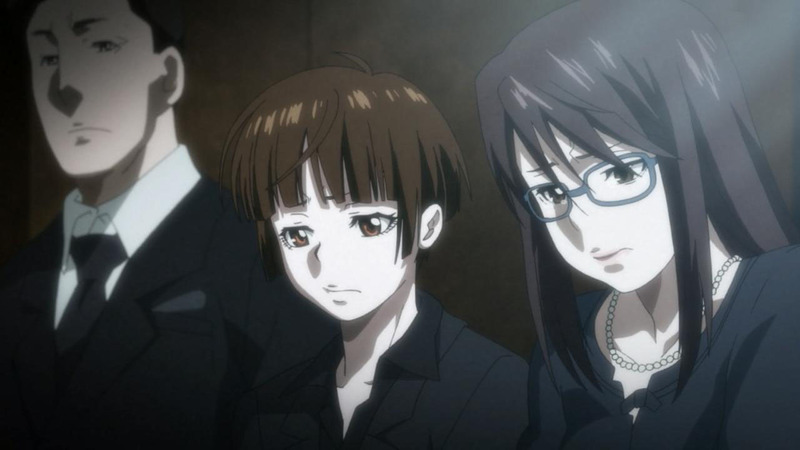 it seems that women who talk with Gino is engaged with the criminals whose psycho-pass color remains constantly clean…. ridiculous to say that real criminals are guilty verified by dominator…. 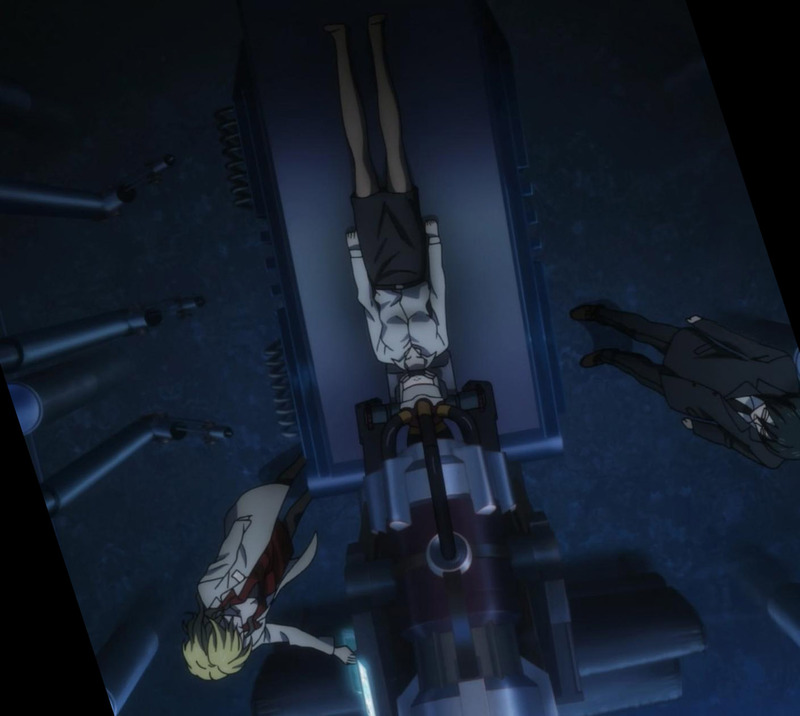 Considering the Urobuchi Gen’s story telling patterns, in my opinion, Akane will see the brutal scene that Kougami’s desperate death by dominator and her color will get murky. Eventually, she will be demoted, and the system is dominating the world….. Sorry, meant to say that to verdant. Did you even bother to look at the contents of the post? I’m sure Verdant puts in a lot of effort to make sure the post is made as soon as he can, and while giving readers substantial reading and discussion material. Please show some appreciation. The chief looks almost robotic at the end. 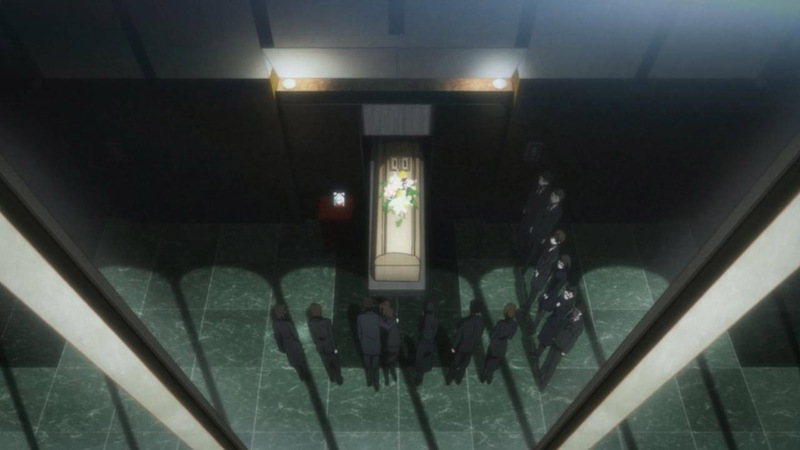 Another great set-up episode even though everyone saw the Masaoka-Ginoza relationship coming. For those who are into the things, compare the loosely-based on the Heart of Darkness the monumental movie Apocalypse Now. It describes how people who started with engaging “Hearts and Minds” ended up napalm bombing villages. Makishima is definitely an error that escapes system – but as, Chief notes, men and women are wired into it as a safeguard of sorts, and of course giving it human face to the society. She aptly observes, it is the “tail end” or cop on the street that represents the system to the population at large. Implications of people stopping trusting the system are dire indeed, from action to abolish it to outright revolt. The revelation that there have been similar cases in the past, and “has been dealt with it” reminds me of the words of CIA man to the officer sent to stop Kurtz “terminate his command – with extreme prejudice”. While, probably to provide plausible deniability and protect their psycho-passes, detectives of the team have only bring Makishima to the central. 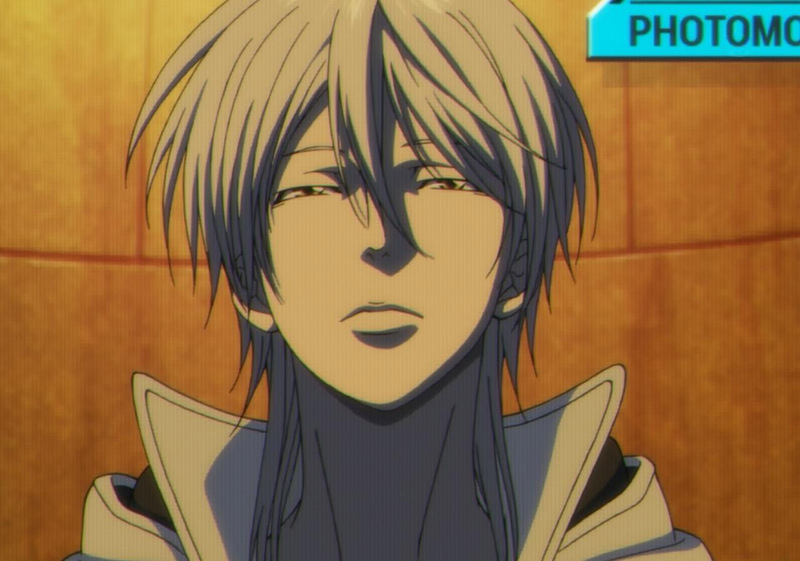 Considering how resourceful is Makishima, I think the only way to terminate his crimes is… with extreme prejudice. 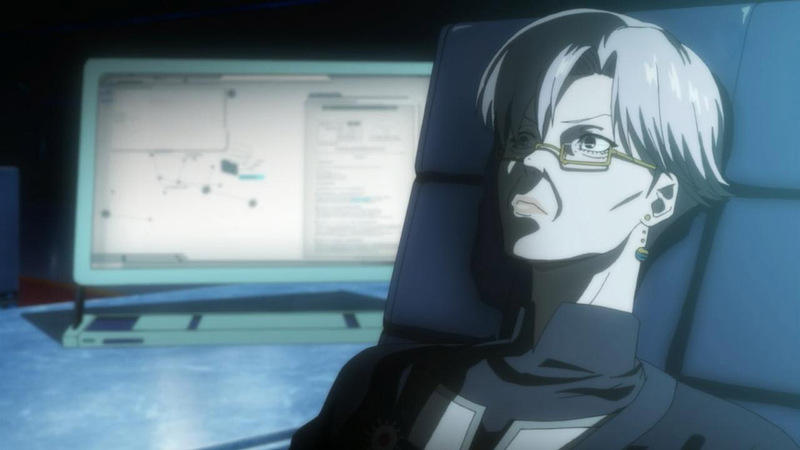 Real shock though, was Ginoza getting a chat with his Father – no one else than our resident Grumpy Old Man (TM), Masaoka. To say this surprised me would be understatement. But even more interesting is the thing that flowed in the background. 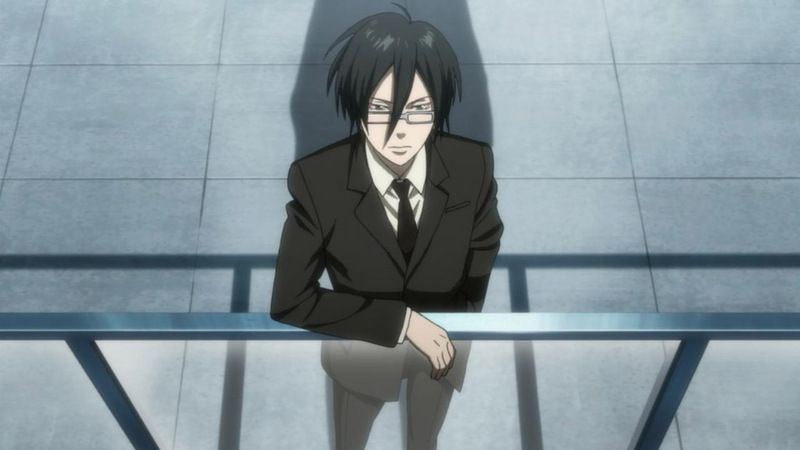 Ginoza might be a stright adherent to the “cult of Sybil” but he definitely does not lack intelligence – and he has too spotted Tsunemori’s apparent invulnerability to the Psycho-pass damage. 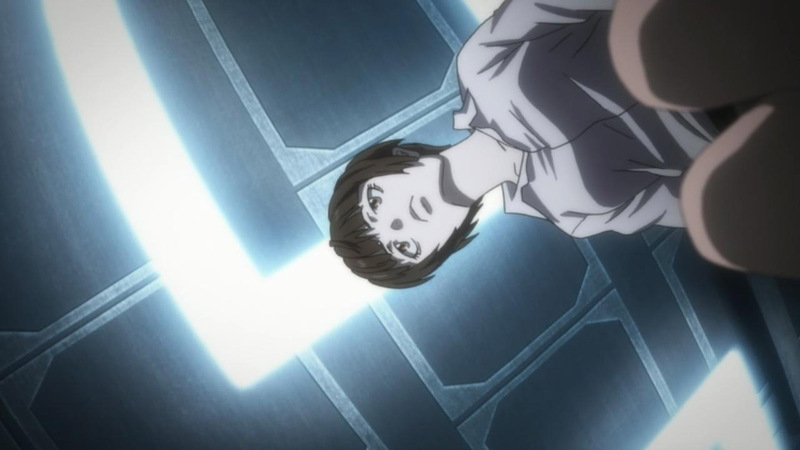 I am sure, he is speculating, as I am about if Akane can be another “error in the system” that luckily is on the right side of the law… The thing is, Tsunemori sliding into the “by whatever means necessary” can soon make her do something completely unlawful. Will the Sybil deal with her the same way she deals with non-symptomatic criminals?